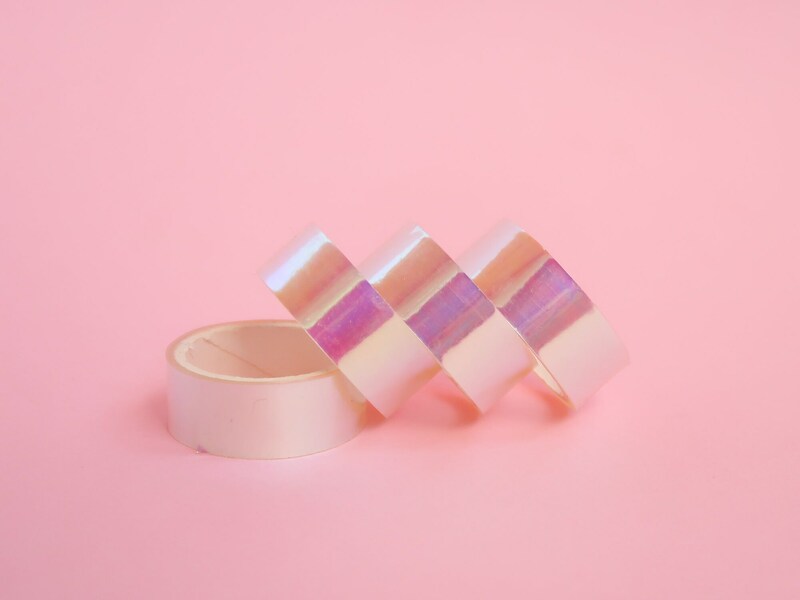 Cute Tape has so many uses: wrapping gifts, tacking up notes and decorating your Bullet Journal too! 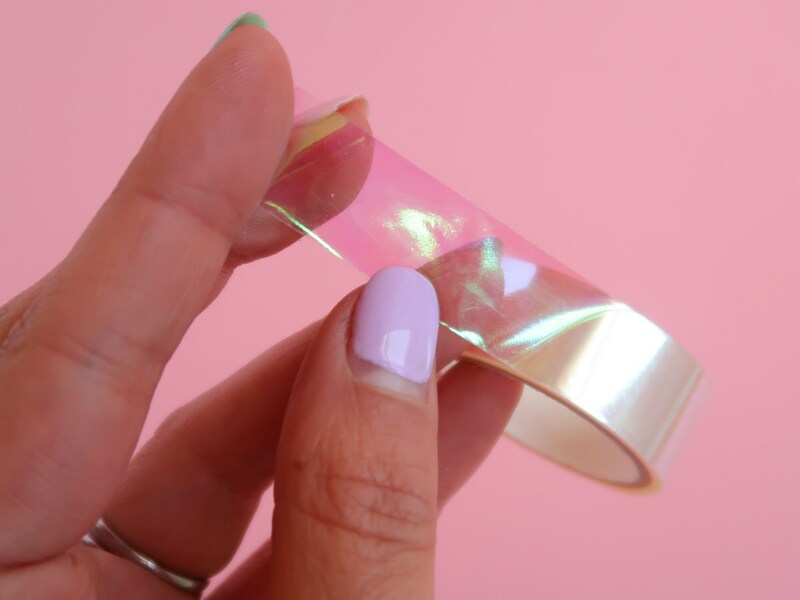 This holographic tape is semi translucent and has a beautiful rainbow iridescent finish. It's low tack- so perfect for craft projects and light use. 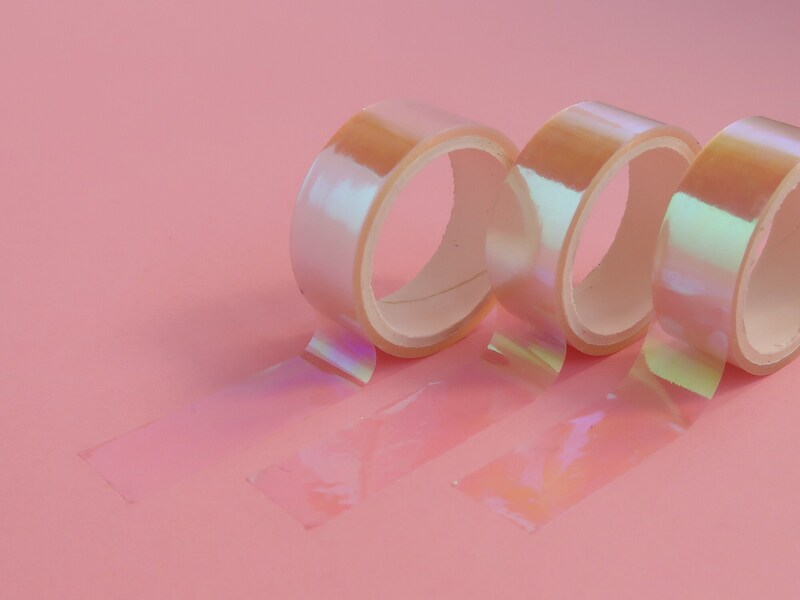 Each roll of tape is 15mm wide and 5m in length. 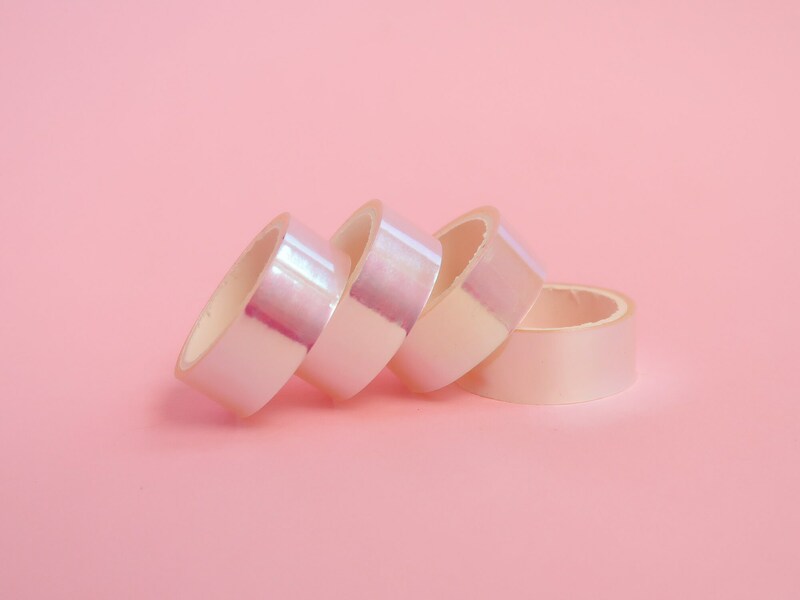 This listing is for one roll of White tape.